David Lyons was raised in Carson City and has recently returned home, to his roots. David is now able to use his skills and experience to serve the community that he feels most connected to. David comes to Carson Medical Group with over 18 years of nursing experience. 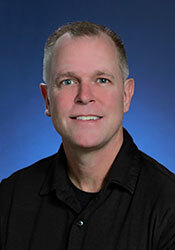 He spent over 10 of those year in Texas as an ER nurse after graduating from Fresno State Nursing School in 1997. David brings a gentle caring attitude to the patients of Carson Medical Group. Along with practicality, David believes in treating the whole person, not just the symptom. He takes the time to listen and understand his patients. He explains, “There may be an unsuspecting area of their life that could be triggering their symptom, so listening intently to them is so important”. David wants to participate in the care of his patients rather than directing with the strong belief that it is a collaboration between provider and patient to work towards a healthy solution. When he is not at work, David can be found enjoying the great outdoors of Northern Nevada. He loves to camp, hike and hunt with his family. He also enjoys playing guitar and can be found most Sundays, sharing his talent in worship.